Subscale scores for pain intensity and disability are combined to calculate a chronic pain grade that enables classification of chronic pain patients into 5 hierarchical categories: grades 0 (no pain) to IV (high disability-severely limiting) . 1- How would you rate your pain on a 0-10 scale at the present time, this is right now, where 0 is 'no pain' and 10 is 'pain as bad as it could be'? 2- In the past 6 months, how intense was your worse pain rated on a 0-10 scale (rated as above)? 4- About how many days in the last 6 months have you been kept from your usual activities (work, school, housework) because of this pain? 5- In the past 6 months, how much has this pain interfered with your daily activities on a 0-10 scale where 0 is 'no interference' and 10 is 'extreme change'? 6- In the past 6 months, how much has this pain changed your ability to take part in recreational, social, and family activities where 0 is 'no change' and 10 is 'extreme change'? 7- In the past 6 months, how has this pain changed your ability to work (including housework) where 0 is 'no change' and 10 is 'extreme change'? The scale is available in the original reference , as well as directly from the author. intensity, grade III for high disability-moderately limiting, and grade IV for high disability-severely limiting. The CPGS has been adapted into UK English . An Italian version has been developed to evaluate severity in chronic pain patients . Interviews were conducted with primary care patients with back pain, headache, and temporomandibular disorder . The development of the graded classification drew on concepts by Turk and Rudy of chronic pain severity  . Two of the items used in the disability score were adapted from their Multidimensional Pain Inventory . The Guttman scaling method was used to develop the graded classification of chronic pain . The CPGS is easy to understand and complete based on a high response rate (76.3%) to a postal survey sent to general practice patients in the UK . Among MSK chronic pain patients, missing values were only noted in<3% of each of the questions in an Italian version of the CPGS . For internal consistency, Cronbach’s alpha was shown to be = 0.74 among patients with chronic back pain . In an Italian version of CPGS, Cronbach’s alpha ranged from 0.81–0.89 for subscales and global scores in patients with chronic MSK pain . In UK general practice patients with low back pain, test–retest reliability was high after a 2-week interval. For construct validity, cross-sectional and longitudinal studies of general practice patients have shown that higher scores on the CPGS, indicating greater chronic pain, are significantly associated with higher rates of unemployment, greater pain impact scale scores, greater use of opioid analgesics and physician visits, depressed mood, and lower self-rated health status   . Comparisons of CPGS scores with the Short Form 36 Health Survey (SF-36) indicate that a higher chronic pain grade using the CPGS is associated with poorer physical, psychological, social, and general health as measured by the SF-36 (P= 0.001)  and worse scores on the SF-36 bodily pain scale (p = 0.545,P<0.0001) (95). Spearman’s correlation coefficients for the CPGS scores and the various dimensions of SF-36 were highest for the pain dimension (r = -0.71 to -0.84) and lowest for the mental health dimension (r=-0.28 to-0.38) . Among patients with moderate to severe chronic MSK pain, the CPGS has been shown to be modestly responsive to changes after 12 months of treatment with an efficacious pain intervention, with standardized effect sizes for the intensity and disability sub-scales of 0.41 and 0.43, respectively. Among participants with chronic knee or hip pain, the standardized effect size for the CPGS intensity was 0.32 . ↑ 2.0 2.1 2.2 2.3 2.4 2.5 Von Korff M, Ormel J, Keefe FJ, Dworkin SF. 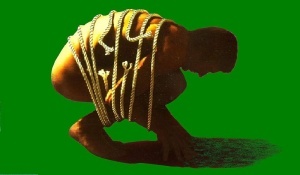 Grading the severity of chronic pain. Pain 1992;50:133–49. ↑ 4.0 4.1 4.2 4.3 Smith BH, Penny KI, Purves AM, Munro C, Wilson B, Grimshaw J,et al. The Chronic Pain Grade questionnaire: validation and reliability in postal research. Pain 1997;71:141–7. ↑ Turk DC, Rudy TE. Toward an empirically derived taxonomy of chronic pain patients: integration of psychological assessment data. J Consult Clin Psychol 1988;56:233–8. ↑ Kerns RD, Turk DC, Rudy TE. The West Haven-Yale Multidimensional Pain Inventory (WHYMPI). Pain 1985;23:345–56.